Go as a couple or go as friends but just do something appealing. Either way works if you want to share good food or a really nice experience. Our three suggestions combine food with a fun evening. 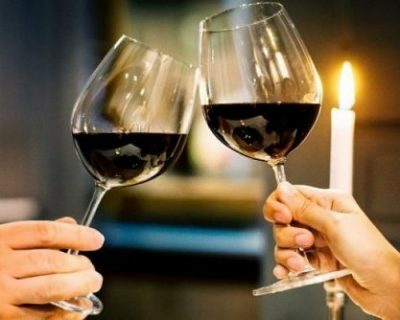 Three Embers, Lincolnshire Marriott’s upscale restaurant has a Valentine’s Day Dinner Special but you can also order off the regular menu. However, go early to include “Million Dollar Quartet,” the show currently getting rave reviews in the resort’s theatre. It’s more than just a show. It’s a terrific concert. For tickets visit Box Office. For more iknformation call 847-634-0100 or visit Lincolnshire Marriott Resort. Lincolnshire Marriott Resort is at 10 Marriott Drive, Lincolnshire. 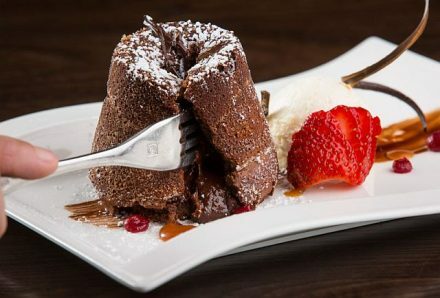 Expect chocolate to be part of the meal at The Chocolate Sanctuary in Gurnee. You can have chocolate bread, chocolate butter and a chocolate dessert if you’d like, but also get a box of zodiac chocolates from the boutique up front. The restaurant has a special menu for Valentine’s Day but you can also order from the menu. If you want you can go early for dinner and stay for the entertainment, “Eaglemania.” Ask about a dinner and show package price or when it’s best to go just for dinner. Call (224) 944.0808 or visit The Chocolate Sanctuary. Also visit Chocolate Sanctuary Boutique. The Chocolate Sanctuary is at 5101 Washington St., Gurnee. To enter the dinner for two and other Valentine Day gift drawing, complete this form. After the Pier has preselected three finalists, he grand prize winning couple will be chosen by public votes via poll on Navy Pier’s Facebook page. Runner-ups will also receive a small package to be redeemed at a later date. Several other Navy Pier retailers and restaurants will offer discounts. For more information visit Navy Pier Valentines Day . 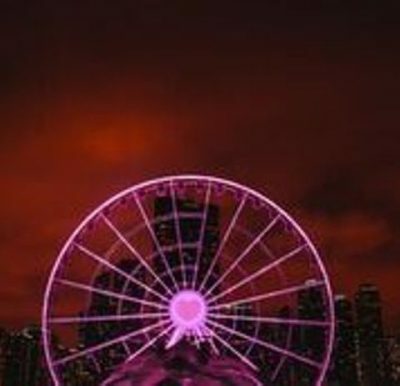 For more wheel information call (312) 595-PIER (7437) and visit Navy Pier. 312-595-PIER (7437) or following Navy Pier on Twitter (@NavyPier). For more information, visit Navy Pier.